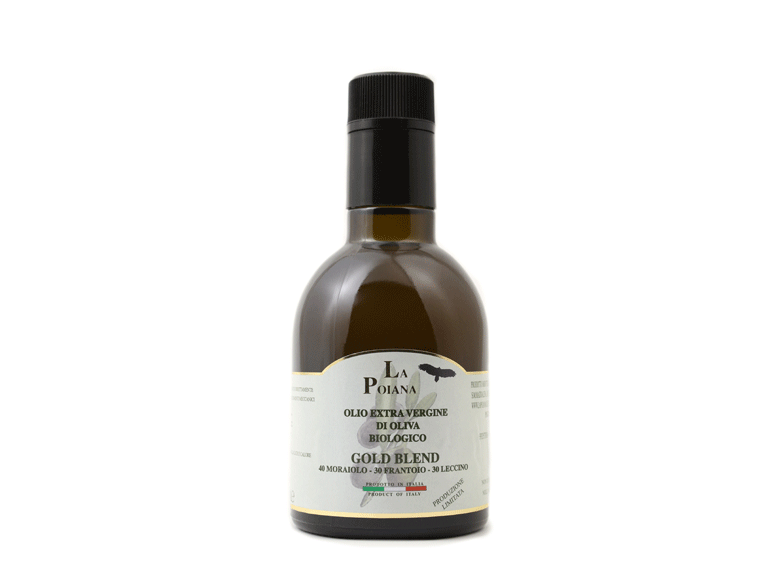 This organic oil of superior category is obtained from the mix, in the exact percentage, of the three varieties of oils (40% moraiolo, 30% frantoio, 30% leccino). It has a harmonious taste, a fruity aroma, it is rich of polyphenols, and preserves all its healthy properties. Such a result is the result of a clever dosing between the three types of monocultivar, crusher, lecithin, morainol, finely achieved with a mixture that may vary by year, depending on the organoleptic properties of the three monocultivar ones.